Additionally, the band has rocked the original Margaritaville Café stage on Duval Street several times, including New Year's Eve week, 2006. 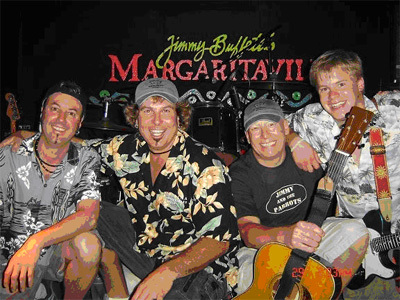 They are the most requested Jimmy Buffett Tribute band in the country and perform not only all the great Buffett songs you love, they also play songs favorites by the Beach Boys, Paul Simon, Harry Belafonte, Bob Marley, among many others. Grab your beach chair, your suntan oil, and your favorite drink, and get ready for a trip to the islands! From the West Indies and Jamaica to cities all over the east coast, Jimmy and the Parrots have been playing to delighted crowds for years.